: Always replace a fuse with one that has the specified amperage rating. Using a fuse with a higher amperage rating can cause severe wire damage and could start a fire. If electrical components in your vehicle are not working, a fuse may have blown. 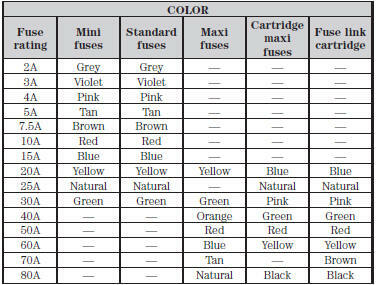 Blown fuses are identified by a broken wire within the fuse. Check the appropriate fuses before replacing any electrical components.